Little Fennec Organic Cotton 2-ply Knit Cuddle Blanket for babies and toddlers 41" x 41"
MADE FROM ORGANIC COTTON - The GOTS certified Organic Cotton Blanket from Little Fennec is made from soft and gentle fibers that are silky smooth against baby's delicate skin. MULTI-PURPOSE BLANKET - Little Fennec's elegant and gender neutral designs are simple and sophisticated. Our multi-purpose blanket can be used as a receiving blanket, swaddle blanket, stroller blanket, or even a nursing cover. 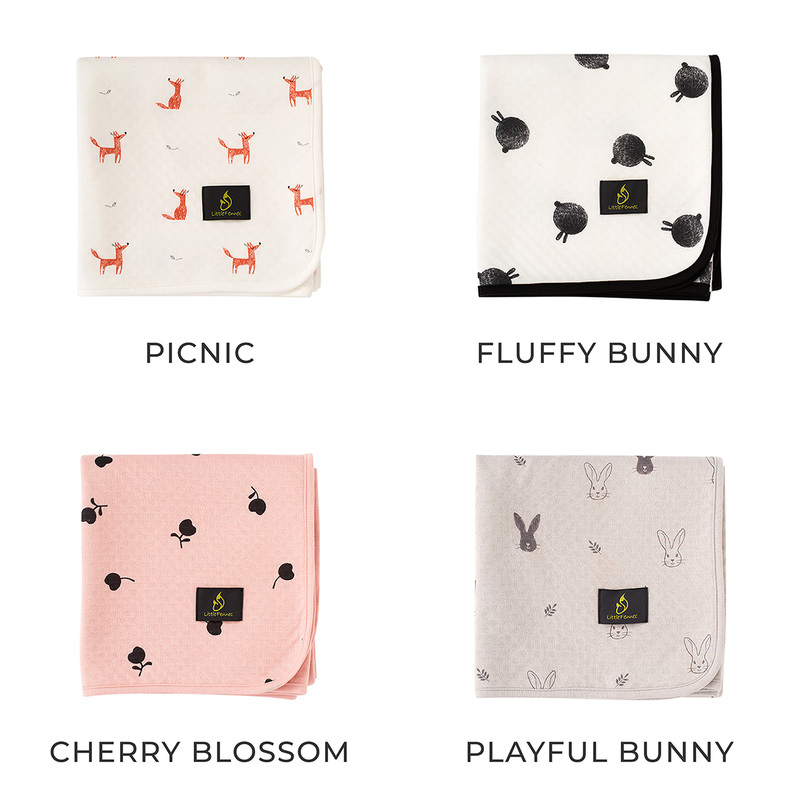 MADE WITH PREMIUM MATERIALS - Little Fennec blanket's are made using only the finest premium materials and trimmings, making them cozy soft, durable, and gentle against baby's delicate skin. THREE LAYERS OF WARMTH - Our Organic knit blanket consists of three cuddly soft warm layers. Two outer layers of 100% organic knit cotton plus a lightweight polyester core that adds warmth without excess weight.